The people with significant control (PSC) provisions of the Small Business, Enterprise and Employment Act 2015 came into force on 6 April 2016. From this date, companies must keep a record of the people who control them - your PSCs. There are criminal penalties if you don't do this. have the right to appoint or remove the majority of directors. How this will be enforced is not clear, but people who run companies anonymously will now be committing a crime. It should be possible to report companies who have failed to register their PSCs to Companies House, but probably not until the new system has fully bedded in (June 2017). Is he related to the well known reptile Ali Gater? Give it a couple of months before he is out of business. The use of the name Parking Eye will be jumped on in no uncertain terms. He must be mad to call his business that same, less the space between the words, of his main target. I mean, try registering MarksAndSpencer and see how dodgy this is. The financial penalties for use of a trading name owned by another company is a real problem. I wonder if he does joined up writing yet? 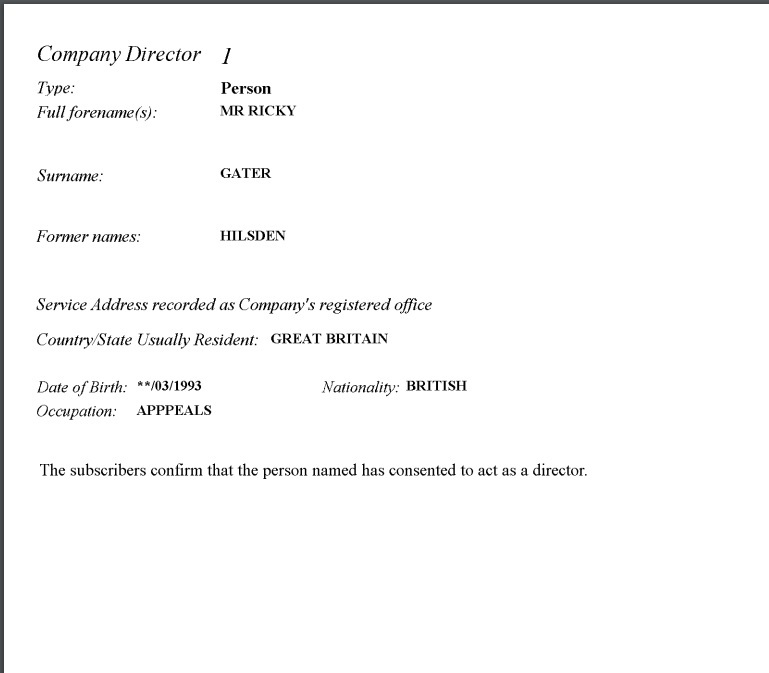 In fairness though Mr Hilsden/Gater was very well respected within the Parking Appeals/MSE circles, no one would say anything bad against him despite it being in the public domain about his past ... It was only when he crossed another person involved in Parking Appeals/MSE did anyone take notice what a dangerous and untrustworthy individual he really was. While that's fair comment, the other individual didn't go digging into Hilsden's past, contacting him employer, Landlord, neighbours, family, colleagues and similar to avoid paying debts owed by the business(es) to that former contractor. 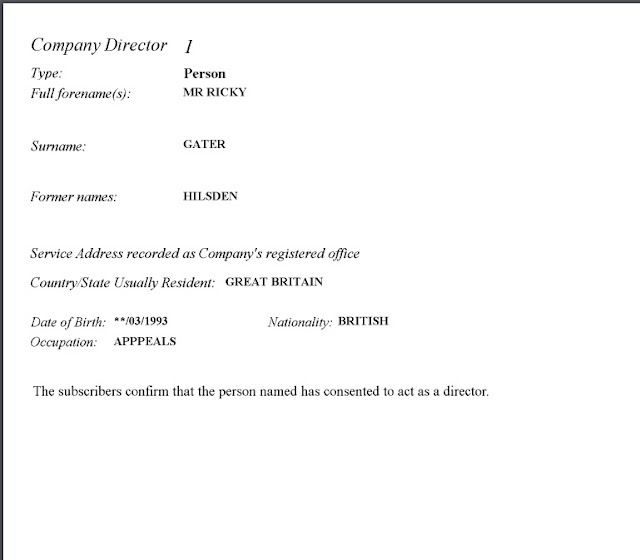 Notice as well how that victim is no longer involved in Parking Appeals, only appears rarely on Pepipoo and never on MSE, whereas Hilsden continues to trade fraudulently, apparently with impunity. think I may start a burger bar, call it something like "MacDonalds." D'ya think anyone would mind. Oh dear, much wailing and gnashing of teeth in Heanor, I expect.